AIER is the largest eye hospital group in the world, with two Listed companies and hospitals though three continents. The job function of International Medical Affairs Department (IMAD) include, international medical service (IMS) operate in relevant hospitals, marketing cooperation in headquarters, health insurer cooperation, and overseas AIER marketing support and linkage. Based on the international commercial health insurance price system, IMS aims to provide patients with better and convenient services. - Reputation: Better service experience for patient. We do have direct billing cooperation with over 40 International Insurers in AIER Beijing and Shanghai. We are looking forward to having broader and deeper cooperation with more international insurances. To response the Belt and Road Initiatives, bright journey project was inaugurated in Rangoon On May 20th, 2017. During the time in Rangoon and Mandalay, the project is planned to perform free surgery for 200 impoverished cataract patients. This project is jointly hosted by Oversea Chinese Charity Foundation of China, Yunnan Province Federation of Returned Oversea Chinese, AIER Eye Hospital Group and Jin Taw Yan Buddhist Charity Association. The expense of surgery was donated by Mr. Yuhua Zhang, an overseas Chinese entrepreneur and philanthropist who lives in Germany. This program will also be launched in the Philippines, Cambodia, Thailand and other Southeast Asian countries. The "Mekong Brightness Action" project was jointly initiated by China Charity Alliance (CCA) and the China Public Diplomacy Association (CPDA), China Foundation for Disabled Persons (CFDP), Overseas Chinese Charity Foundation of China (OCCFC) and other charitable organizations, as well as AIER Eye Hospital Group and so forth. In October 2016, the project dispatched several medical teams to Vietnam, Laos, Cambodia and Myanmar to provide free surgery to 800 impoverished cataract patients. AIER Eye Hospital Group is one of the major ophthalmic medical institutions invited to undertake this project. It is also one of the first private medical institution in China to undertake international aid projects. AIER is the mainly responsible for the medical aid and providing free cataract surgery for 600 impoverished cataract patients in Vietnam, Laos and Myanmar. To help more impoverished families and patients who suffer from visual diseases, AIER Eye Hospital Group established the Eye Care Foundation in February 2015. It is committed to the dissemination and popularization of the eye health knowledge, the prevention and control of juvenile myopia, blindness prevention and treatment in poor regions, precision poverty alleviation in eye health and other public welfare fields. 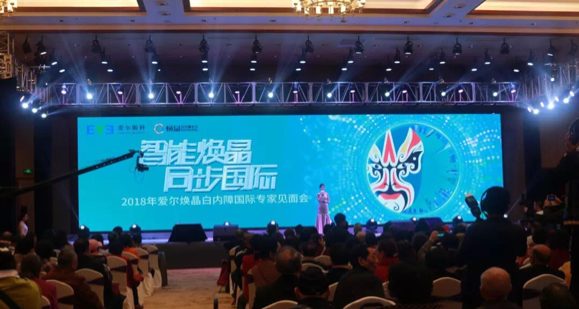 Since its establishment, the foundation won the sixth and the seventh of Chinese Annual Public Welfare Program Award in succession in 2015-2016. Currently, there are more than 70 philanthropic programs being jointly carried out in various regions by the Foundation, covering elderly eye treatment, poverty alleviation with eye health care, corneal blindness relief, prevention and treatment of juvenile myopia and etc. These programs cost a total amount of more than 50 million and more than one million people have benefited from these programs. Since the establishment of the first Eye Bank in 2006, AIER Eye Bank has been following national policy and regulations, and actively cooperate with health administrative departments at all levels and the Red Cross for management and supervision. It is operated under the guidance of "The People's Republic of China's health industry standard for eye bank WS 325-2010." AIER Eye Bank actively collaborates the International Lions Club, the International Federation of Eye Bank and other domestic and foreign Philanthropic organizations. At the same time, AIER Eye Bank also pays attention to the academic atmosphere and the training of primary doctors. AIER Wang Vision Eye Center is an internationally influential ophthalmic center with cutting-edge refractive operation and comprehensive corneal imaging technology. It is the first and only cataract 3D laser operation center in Tennessee. Dr. Mingxu Wang, the director of the center, is one of the most renowned experts in refractive operation and corneal disease in the United States. He has a strong background in laser physics (Phd.in Laser Physics) with a number of biotechnology patents in the field of visual restoration, of which eight of them are international patents. He has done more than 25,000 cases of successful eye laser surgeries and is leading in the industry of corneal disease treatment. AIER Wang Vision Eye Center is located in Nashville, Tennessee. Known for its high-end eye care services, patients in 55 countries and over 40 regions across the United States, including many national dignitaries and Hollywood movie stars. Poly Vision was founded in 2005 and its predecessor was an affiliated institution of the Hong Kong Polytechnic University. It is a well-known basic eye inspection and medical optometry center in Hong Kong that was founded by Mr. George Woo, former chairman of the World Council of Optometry. As a medical center with international standards, Poly Vision specializes in quality eye care service for the public, providing comprehensive eye inspection of optometry, children's vision training, color vision inspection, perimetry, glaucoma, corneal shaping, contact lens fitting and eye care follow-up, glasses and sunglasses and other one-stop services. On March 14, 2017, with the geographical advantage of Hong Kong and Shenzhen, " Poly Vision " studio was founded in Shenzhen. By cooperating with Shenzhen AIER Eye Hospital at all levels, the studio offers integrated eye care services with experiences from both sides. The Centre is Hong Kong's top myopia laser correction operation and cataract operation center which was founded by Dr. LEE Wing Hong (Vincent LEE) and Dr. WOO Chi Pang (Victor WOO) in 1998. Its popularity and business volume are leading the market in Hong Kong. With its latest SMILE laser operation equipment such as German Zeiss VisuMax femtosecond laser equipment, the center holds the leader position in eye care industry. Clinica Baviera was founded in 1992, operates as Europe's largest professional ophthalmic medical chain institution. The institution offers refractive operation for myopia, cataract, glaucoma, oblique amblyopia, corneal shaping, orbital and ocular plastic operation services. It has 76 professional eye clinics in four European countries (37 surgical clinics and 39 counseling clinics), serving more than 1.1 million patients. Clinica Baviera has the most advanced technique and equipment, as well as 150 experienced specialists that can offer the best treatment for every patient. Furthermore, Clínica Baviera provides 24/7 service, so that patients can get the most efficient and quality service at any time. 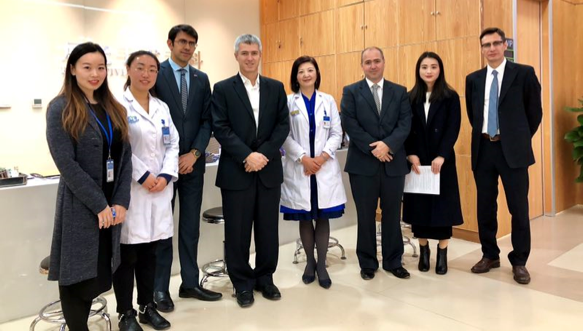 Beijing AIER Intech Eye Hospital IMS has cooperated with 46 international insurance companies by direct billing, received many foreign patients, offers a variety of language services for these patients and professional ophthalmic medical services. Medical insurance fixed-point third-level specialized hospital in Beijing. Emergency rescue organization (SOS); Provide long-term eye care and treatment services to more than 20 international schools and various transnational large-scale enterprises. It is also the preferred eye hospital for 48 foreign embassies in China. Prof. Li has worked in ophthalmology since 1989. In 1998-1999, he undertook post-doctoral training in corneal diseases at Louisiana State University Eye Center under the tutelage of internationally renowned corneal expert Professor Herbert E. Kaufman. Prof. Li is well experienced in complex cataract surgery, such as pediatric cataracts, and corneal transplantation combined with cataract surgery. Prof. Li has completed more than 30,000 of cataract surgeries and over 4,000 corneal transplants for now. Graduated from Dalian Medical University, Dr. Gu specializes in the diagnosis and treatment of ocular fundus diseases, strabismus and plasticsurgery. She also dedicates herself to the research of age-related maculardegeneration, diabetic retinopathy. Graduated from Capital University of Medical Sciences, Dr. Liang has accomplished residency training in the Department of Ophthalmology, Beijing Puren Hospital. Dr. Liang is not only an outstanding, wide spectrum, and high volume vitreoretinal surgeon, but also a good, dedicated corneal specialist. Professor Zhang graduated from Capital University of Medical Sciences in December 1977. And since January 1978, she has worked in Beijing Tongren Hospital Ophthalmology Center. As a senior eye specialist, Professor Zhang is skilled in diagnosis and treatment of common ocular disease. Graduated from Shanxi Medical College. Dr. Zhao received her master’s degree of medicine from Beijing Medical University in 1984. In 1991, she studied abroad. After then, she has engaged in cosmetic plastic surgery in Beijing TongRen Hospital, accumulating rich clinical experience. Dr. Zhou has been engaged in the clinical work in opthalmology for 26 years. She has accumulated rich experience on the correction of myopia, hyperopia, astigmatism, presbyopia and ICL surgery. Shanghai AIER Eye Hospital, founded in 2005, is the Shanghai medical insurance fixed-point units, the Shanghai four-star eye hospital, has won the "refractive advantage specialized hospital"， "children myopia prevention and control advantage specialized hospital", "advanced collective of Shanghai Health System" and other honorary title issued by the Shanghai Municipal Health Bureau. Shanghai AIER Eye Hospital IMS has cooperated with more than 40 international insurance companies by direct billing. We will continue to improve the level of medical services, actively participate in international cooperation and exchanges, and promote development of global ophthalmology. The painless minimally invasive vitreous surgery he carried out using "two-step anesthetic method" in 2016 effectively reduced the complications of anesthesia of periocular and retrobulbar. Dr. Xiao has been engaged in the treatment of cataract for over 30 years. He has rich experience in the diagnosis and treatment of complicated eye disease as well as comprehensive and conventional eye disease. He has rich clinical experience in refractive surgery and completed more than 50,000 cases of various types of refractive surgery. Prof. Xu has been engaged in the clinical work of ophthalmology for over 40 years. Prof. Xu specializes in the treatment of Ptosis, Lacrimal Duct Obstruction, Orbital Fractures, Orbital Tumors, Movable Ocular Implantation, Blepharoplasty, and other eye cosmetic surgeries. Dr. Li has been engaged in the treatment of cataract and fundus disease for 25 years. He is specializing in the diagnosis and treatment of various of retinal degeneration, macular disease, retinal vascular disease, vitreous body disease and cataract diseases. Dr. Liu specializes in the diagnosis and treatment of Myopia, Hyperopia, Astigmatism, Dry eye syndrome, and Lacrimal Duct Diseases; he also has rich experience in diagnosis and treatment of common eye diseases, frequently occurring eye diseases, and complicated eye diseases. Dr. Zhou has rich experience in the diagnosis and treatment of various of cataract, glaucoma, and fundus diseases. He specializes in performing small incision phaco-emulsification, ocular lense implantation for cataract and various glaucoma surgeries. Dr. Song specializes in the diagnosis and treatment of common eye diseases and frequently-occurring eye diseases; diagnosis and laser treatment of various of Ischemic, Hemorrhagic; surgical treatment of Vitreous Retinal Diseases; Phaco-emulsification for Cataract; surgical treatment such as combination of Phaco-emulsification and Vitrectomy for Macular Hole and Macular Epiretinal Membrane. Graduated from medical School of Tongji University, Dr. Dong has been engaged in clinical work at 3A rated public hospital in Shanghai for over 10 years. She has rich experience in diagnosis and laser treatment of fundus diseases; vitrectomy and retinal surgery treatment for complicated retinal detachment, diabetic retinopathy, and ocular Trauma. 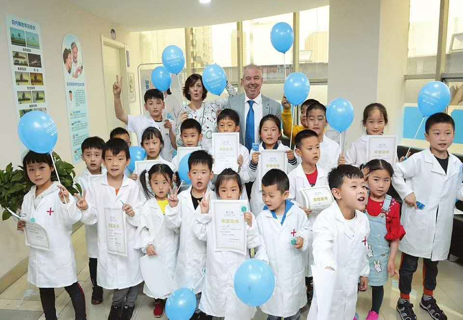 The International Medical Services of Guangzhou AIER Eye Hospital is dedicated to providing high-quality ophthalmic diagnosis and treatment services to foreign residents in Guangzhou and patients with higher requirements for medical treatment experience. The IMS created a team with outstanding specialized doctors and nurses in this industry, leading ophthalmology medical equipment and technology, and based on direct pay cooperation that set up with several domestic and foreign insurance companies via AIER group platform. The department is equipped with doctors and caregivers with fluent English speaking to enable you to get high-quality medical services. Prof. Ye has been engaged in clinical medicine, teaching and research of glaucoma for more than 40 years, he is the first person who proposed and carried out the modern standard trabeculectomy. He has rich clinical experience in the modern artificial aqueous humor drainage tube implantation of refractory glaucoma. Professor Deng has rich clinical experience in the diagnosis and treatment of glaucoma, corneal disease, conjunctiva disease, medical cosmetology, ocular plastic surgery, etc. Professor Xu has rich experience in the diagnosis and treatment of ocular muscle, refraction, pediatric squint, amblyopia, nystagmus, thyroid and rheumatic related eye disease, etc. Dr. Li specializes in the diagnosis and treatment of various and complicated oculopathy, and be good at the diagnosis and treatment of eye forming, eye injury, lacrimal disease and fundus diseases. Dr. Quixian Yi specializes in performing ophthalmic microsurgery, cataract surgery. He has rich experince in diagnosis and treatment of glaucoma, ocular trauma recovery, and ocular plastic surgery. Dr. Lin Chen has been engaged in the teaching and clinical work in Zhongshan Ophthalmic Center and Guangzhou Medical University, with over 40 years of working experience. He has rich experience in the diagnosis and treatment of cataract, glaucoma, corneal disease and fundus disease. Dr. Chen has been engaged in clinical ophthalmology in 3A hospitals in Guangzhou for 37 years. He specializes in the diagnosis and treatment of various common oculopathy such as cataract, glaucoma, corneal disease, fundus disease, etc. The famous ophthalmologist station (IMS) of Shenzhen AIER Eye Hospital is leading by well-known ophthalmologist professor Shibo Tang, that converged a large number of international and domestic well-known ophthalmic authority, introduced international advanced ophthalmic medical equipment. Also, the station launched “ expert appointment” and "one to one care service". The international medical department allows full play to the advantage of high-tech medical personnel through the introduction of experts. To create the display platform of the latest ophthalmology technology of the international synchronization, through the technical communication and academic exchanges, to provide patients with the top of the international and domestic medical services. Prof. Tang is currently the Dean of AIER School of ophthalmology of Central South University, General Hospital Director of AIER Eye Hospital Group, Deputy Director of the Professional Committee of the Chinese Eye Microcirculation Society, President’s Assistant of Chinese Ophthalmologists Association, the President of Ophthalmology Management Branch- Guangdong Medical Profession Association, Member of the American Society of Retina Specialists, Assistant Treasurer of Congress of Asia Pacific Vitreo-retina Society (APVRS) and many other national and international ophthalmic organizations. Prof. Tang is good at diagnosis and treatment of various fundus diseases, especially diabetic retinopathy, macular disease, complicated retinal detachment, etc. Prof. Huang is the leader of the glaucoma discipline, former dean of Shenzhen eye hospital, guest professor of Chinese University of Hong Kong, glaucoma group member of Chinese medical association ophthalmic branch, director of Shenzhen medical association ophthalmology special committee, evaluation expert of the national natural foundation. Prof. Li has been engaged in ophthalmology clinic and teaching for nearly 30 years, and have accumulated rich clinical experience in the diagnosis and treatment of common diseases and complicated diseases; especially the diagnosis and treatment of difficult eye diseases, and surgical treatment of severe blinding diseases. Professor Sima is a master supervisor of AIER School of ophthalmology of Central South University, member of standing committee of the Shenzhen rehabilitation medical association, international member of the American Visual and Ophthalmology Society, member of the American cataract and refractive surgery society. Professor Sima accumulated with rich experience on ophthalmology optometry research and clinical oculopathy diagnosis and treatment, she is specialized in performing cataracts, glaucoma, ocular trauma, refractive surgery and strabismus correction surgery, as well as laser treatment of the posterior segment, etc. Doctor Yi is good at the treatment of diabetic retinopathy, uveitis, age-related macular degeneration and optic neuropathy, meanwhile she has rich experience in the diagnosis and treatment of retinal detachment and vitreous surgery. Doctor Guo has been engaged in clinical and basic research of corneal disease and ocular surface disease, clinical work in ophthalmology for over 20 years, nearly 30 articles have been published, and obtained more than 10 kinds of projects on provincial and municipal level. Dr. Chen has higher attainments on the PDT of fundus disease therapy and anti VEGF treatment, laser treatment of fundus disease, the diagnosis of difficult fundus disease. Dr. Lai is currently the member of the Chinese medical association ophthalmic defense committee. Dr. Lai is good at the diagnosis and treatment of glaucoma, cataracts and fundus diseases. Dr. Zhong has been engaged in ophthalmology clinic for 20 years, and accumulated rich clinical experience in the diagnosis and treatment of common diseases and difficult diseases. She is good at diagnosis and treatment of pediatric ophthalmic disease, oblique amblyopia and uveitis. Dr. Liu engaged in long-term clinical and scientific research on cataract and myopia. He is good at small incision cataract phacoemulsification, ICL implantation, high myopia refractive surgery and all kinds of complicated cataract surgery, with rich clinical experience. Prof. Deng has been engaged in ophthalmology clinical work since 1995. She is adept at oblique amblyopia, diplopia, ocular surface disease, low vision recovery. Dr. Yao innovated various surgical methods of double layer keratoplasty, doll type corneal transplantation and rivet type corneal transplantation, also contributed to the cornea and body donation in Shenzhen city. Dr. Yao is good at corneal transplantation and ocular surface disease treatment. Chengdu Aier East Eye Hospital is one of more than 200 wholly-owned subsidiaries of Aier Eye Hospital Group, the largest and the first listed eye hospital network in China. Located within first ring road, downtown Chengdu, the hospital covers an area of 15,000㎡. We provide comprehensive eye medical diagnosis and treatments ranging from vision care to complicated fundus diseases to not only local patients but also expatriates. The International Medical Services Department is dedicated in caring in a uniquely warm, smooth, patient service-oriented environment for those seeking premium, personalized eye medical care. Dr. Hu He has been engaged in the clinical work of vitreoretinopathy, ophthalmopathy and scientific research for nearly 30 years. Dr. Hu is especially experienced in diagnosis and treatment of complex fundus cases such as retinal detachment and diabetic retinopathy. Dr. Xiao is one of the doctors who first introduced and practiced phacoemulsification cataract surgery in Sichuan Province. He is active in many national anti-cataract-blindness projects. During his over 30 years’ clinical practice, Dr. Xiao has done over 40,000 cataract surgeries and he also has wide experience in diagnosis and treatment of glaucoma, uveitis, hyperopia, eye trauma, ophthalmic plasty and ocular prosthesis implantation. Dr. Zhang has been in clinical practice for more than 30 years and has wide experience in complicated and rare strabismus correction surgery and treatment of visual physiology and development related pediatric eye diseases. During over 30 years clinical practice, Dr. Li gained wide experience in diagnosis and treatment of common eye diseases, cataract, refractive eye conditions. During his more than 20 years' clinical practicing, Dr. Lu's major medical interests have been refraction correction surgery (myopia, hyperopia and astigmatism). He has rich experience in treating ocular surface diseases, keratopathy, cataract, glaucoma, vitreoretinal diseases. Dr. Lu Jing has wide experience in diagnosis and treatment of ocular surface and corneal diseases and she is especially good at treating complicated corneal disease such as keratohelcosis. She has completed hundreds of corneal transplantation surgeries. Dr. Lu is also profoundly skilled in double eyelid, eye bag, entropion and ectropion, orbital implantation surgeries. Dr. Mo Jing post graduated from Wenzhou Medical School and has gained wide experience in treatment of refractive and common eye diseases during her over 10 years of clinical practice. She is especially experienced in refractive surgeries including femtosecond laser myopia surgery, SBK, LASIK and ultrathin LASIK,etc. Dr. Du has been in eye and nose clinical practice for 15 years and has wide experience in diagnosis and treatment of lacrimal passage disorders, optic nerve problems and he carries out ocular reconstruction and plastic surgeries, prosthetic eye implantation, intraocular foreign body extraction, ptosis correction, etc. Dr. Qin has wide experience in the diagnosis and treatment of common ophthalmic diseases and those with multiple pathogenesis. She is especially good at diagnosis and treatment of fundus diseases, such as optic neuropathy, macular degeneration and systematic ocular complications such as diabetic retinopathy, hypertensive retinopathy, etc. Dr. Zhou graduated from Chengdu University of Traditional Chinese Medicine with master degree in ophthalmology. Her major interests are in diagnosis and treatment of Cataract. She has rich experience in diagnosis and treatment of common ophthalmic diseases. Wuhan AIER Eye Hospital is a large-scale third-level specialized eye hospital, which is approved by the Health and Family Planning Commission of Hubei province. This hospital has been identified as the national top ten eye hospital, Central medical key specialty hospital, etc. The IMS of Wuhan AIER Eye Hospital provides high quality ophthalmic diagnosis and treatment services to foreigners in Wuhan city and high-end patients. The international medical department relies on the standing reputation in the industry, gathered the leading ophthalmology medical equipment and technology. It will bring high quality service experience to patients. As a cataract and glaucoma specialist, Prof. Yu has pubilshed over 30 academic papers and has rich clinical experience in ophthalmology, especially in ocular plastics and orbital surgery. Dr. Wu has been engaged in the clinical work of fundus disease for more than 10 years. He has rich experience in diagnosis and treatment of various fundus diseases, especially in retinal detachment, retinal hemangioma, retinal vasculitis, diabetic retinopathy, senile macular degeneration and vitreous diseases. Dr.Yong Wang is the earlist experts carried out cataract surgery, femtosecond laser cataract surgery. More than 30,000 cataract surgeries have been completed, including more than 2,000 femtosecond laser cataract surgeries. He is adept at all kinds of complicated cataract surgery. Dr. Qingsong Zhang is one of the earliest experts in the country to carry out femtosecond laser surgery, SMILE laser surgery and the EVO ICL surgery. Specializing in the operation of myopia for more than 10 years, good at all kinds of ametropia and presbyopia treatment. The individual annual operating volume of various refractive surgery is the highest in China. Dr. Huifang Tu has rich experience of various difficult problems such as eyelid disease, eyelid deformity, eyelid reconstruction, orbital tumor and orbital fracture, etc. The annual operation volume is about 1000. Dr.Hongbin Dai has been engaged in pediatric ophthalmology for more than 20 years, has rich experience in various types of strabismus surgery, and performs about 800 cases annually. Dr. Wu has been engaged in ophthalmology clinic for nearly 20 years. He is specialized in the diagnosis and treatment of glaucoma. Dr. Jiang Zhang has been engaged in ophthalmic clinical work for more than 20 years. He is adept at endoscopic dacryorhinocystotomy, with a total of over 10,000 cases of lacrimal passage surgery under endoscope. Dr. Wu has been engaged in ophthalmology clinical work for more than 10 years. He has extensive clinical experience in pterygium, infectious ocular surface disease, dry eye syndrome, chemical injury, immune ocular surface disease, etc. Dongguan AIER Eye Hospital, located at the intersection of guanzhang road and shijing road, covers an area of 20000 ㎡. It is an standard third-level specialized hospital, with first-class environment, a variety of examinations, treatment equipments, facilities, also equipped with deluxe, comfortable and warm VIP clinic and ward. Dongguan AIER Eye Hospital not only has a strong technical team, but also a large ophthalmologist team to support. Besides, affiliated hospital ophthalmology department of Austria Innsbruck Medical University makes an agreement that they will cooperate with us as a partner. Prof. Liu is a renowned ophthalmologist with more than 30 years of clinical experience. Prof. Liu is specialized in diagnosis and treatment of myopia correction surgery, high myopia, complex corneal refractive surgery, intraocular refractive surgery (ICL crystal implantation), fundus diseases, cataract and glaucoma. Doctor Chen is specialized in all kinds of adult myopia correction surgery, such as SMILE, femtosecond, LASIK and other corneal refractive surgery, she also good at diagnosis and treatment of high myopia correction, ICL surgery and glaucoma. Dr. Wang has been a specialist in fundus diseases for more than 10 years and he has in-depth research on vitreoretinal surgery, especially on various retinal detachment, diabetic retinopathy, senile macular degeneration, optic nerve retinitis and other vitreoretinal diseases. Professor Ye has been engaged in ophthalmology clinic work for more than 20 years, has successful experience of nearly 10,000 cases of eye surgery. She adopts internationally recognized treatment methods for common or complicated eye diseases. Professor Ye is good at diagnosis and treatment of corneal diseases, lacrimal diseases, dry eye diseases, complicated cataract phacoemulsification and functional IOL implantation. Dr. Fu is good at prevention and control of juvenile myopia, strabismus surgery, high myopia posterior sclera reinforcement surgery, as well as diagnosis and treatment of Duane-retraction syndrome, congenital nystagmus and other difficult diseases. He has high attainments in the diagnosis and treatment of diseases such as oblique amblyopia, optometry and high myopia. Xi'an AIER Eye Hospital use the experience of international operation management concept for reference, specially opened a "Famous doctor center" and hired foreign and domestic famous ophthalmologist, introducing cutting-edge ophthalmic technology to achieve "Sharing the vision of eye care wisdom with the world". Besides, the hospital has set the treatment of presbyopia and plastic ophthalmology to meet the needs of patients at different levels caused by social development. At the same time, according to the needs of different patients, the hospital designed a variety of relatively independent visiting channels, enable the patients with different demands to have a corresponding independent area and enjoy the services related to it during the visiting、stay in hospital and operation period. Professor Zhang has been engaged in ophthalmology for nearly 40 years and has rich experience in diagnosis and treatment of complex eye diseases, especially in glaucoma. Professor Xiong has been engaged in teaching and researching of ophthalmology for over 40 years, specializing in corneal transplantation, the diagnosis and treatment of cataract/glaucoma. He also has a profound understanding of oculoplastic surgery and orbital tumors. Apart from winning Shaanxi Bethune award, he has been actively taking part in/undertaking programs supported by National Natural Science Foundation and provincial government. Dr. Wang xinli graduated from the third military medical university and has been in clinical service for more than 10 years. He is specialized in diagnosis and treatment of vitreous retinopathy. Doctor Guo yonghong is skilled in refractive surgery and various cataract surgeries and has been engaged in clinical and basic research in ophthalmology for more than 20 years. 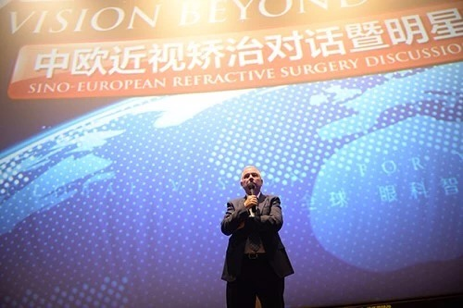 He worked for years in clinical diagnosis and treatment such as femtosecond refractive surgery, Implantable Contact Lenses (ICL),femtosecond refractive lenses replacement (Fs-RLE), corneal collagen cross-linking, glaucoma and minimally invasive surgery, specializing in refractive corneal and lens surgery. Dr. Wang has extensive ecperience in minimalinvasive PHACO with high-end lenses implant. She has carried out more than 8000 cases of cataract surgery, has rich experience in surgical complications as well as other common eye disease. Doctor Zhao is an expert of myopia laser treatment and cataract surgery, has been engaged in clinical, scientific research and teaching for many years. Doctor Zhaoespecially good at refractive surgery and various cataract surgeries, has accumulated experience over 10,000 cases in excimer surgery. Dr. Zhang has been engaged in ophthalmology clinic and teaching for nearly 20 years, has rich clinical experience in pediatric ophthalmological common diseases and multiple pathogenesis. Dr. Zhang is specialized in the treatment of amblyopia, strabismus; prevention and control of juvenile myopia.